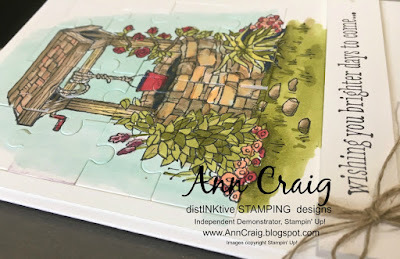 A bit of fun today creating a jigsaw puzzle for the front of a card, using the Puzzle Pieces Thinlits dies from Stampin' Up! I chose to combine them with the Bright Wishes stamp set from the Annual Catalogue. 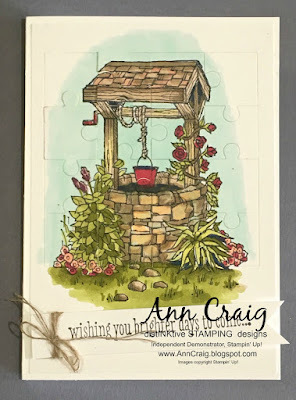 I stamped the image using Memento ink onto Thick whisper White card and coloured with my Stampin' Blends. These alcohol based markers are divine to use. The card base is also Thick Whisper White. Then it was a simple matter of running the image through the Big Shot, using the Puzzle Pieces Thinlit dies. To add some more fun to the card I adhered each piece with 2 way glue so that they could be removed and replaced. 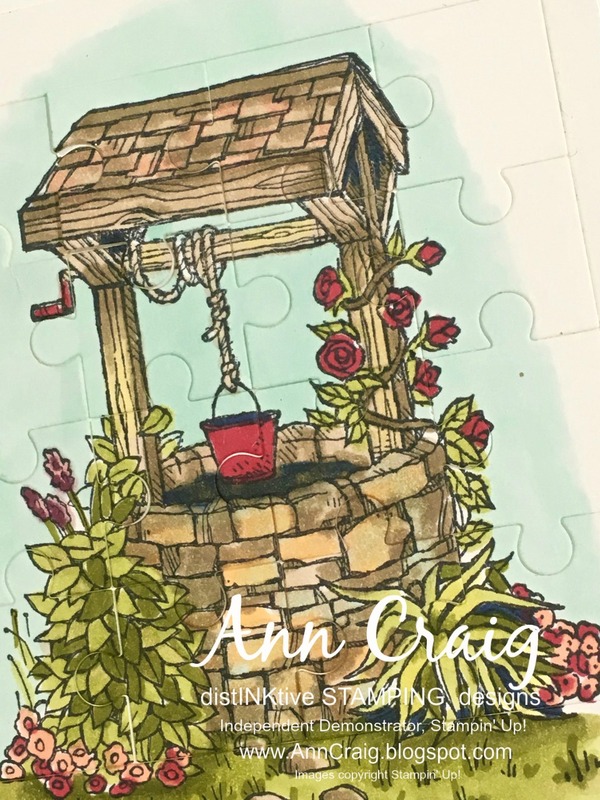 You could make a feature of each of these individual pieces, or even leave one of them out and attach to the inside of the card. There are lots of ideas that spring to mind and there are lots of different stamp sets that combine well with these Thinlits, including the stamp set that you can bundle with the dies - Love You To Pieces. I taught a class on this card and instead of Blends, we used water colour pencils. The results were awesome! Why don't you give it a try?